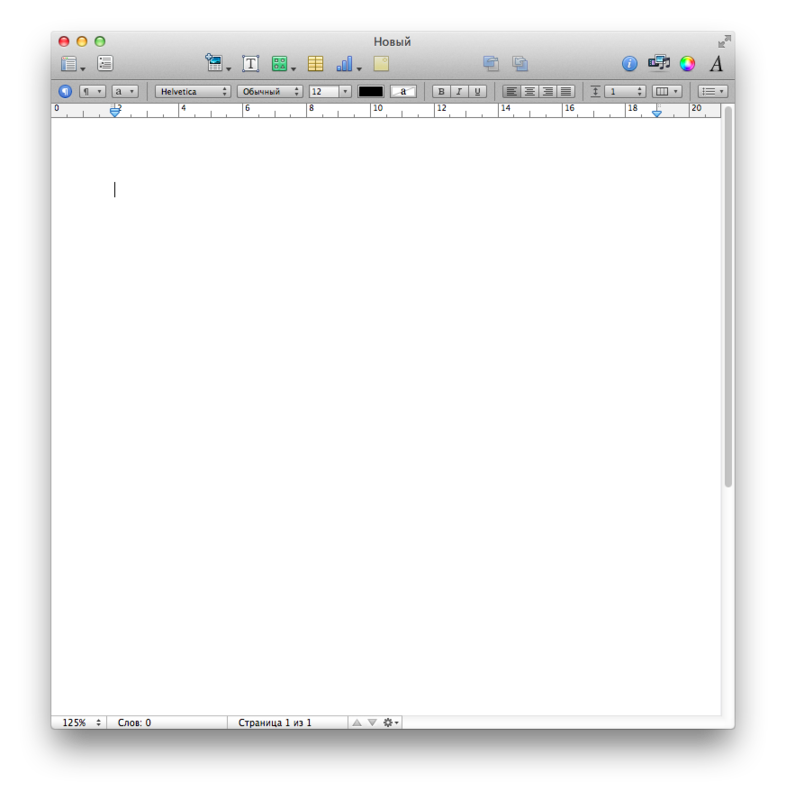 Current white toolbar backgrounds and toolbar structure do not follow OS X design guidelines. White colour does not look and feel native. And it is not even consistent with the other LibreOffice UI element backgrounds like Sidebar and rulers. 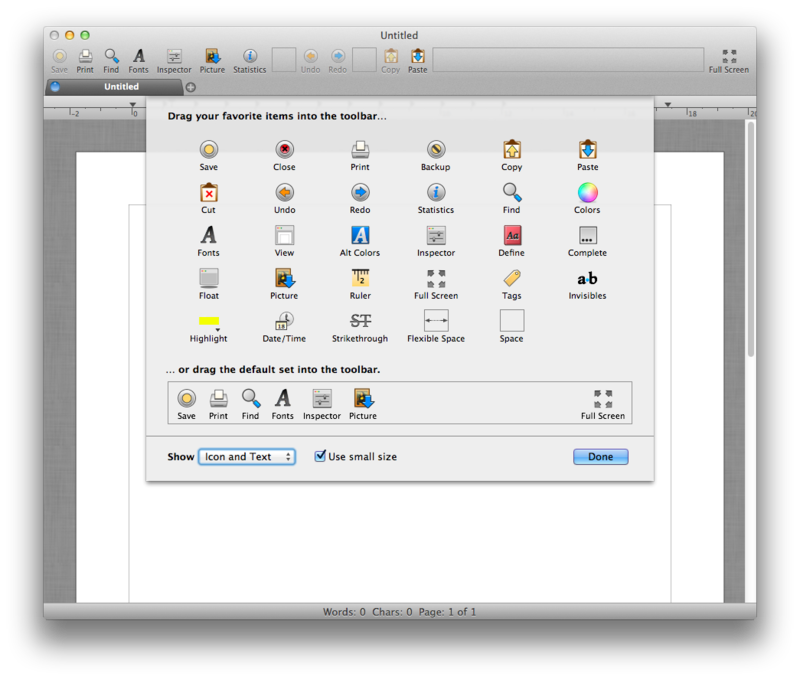 On the other hand in most Mac applications toolbars are unified with the window bar, although it would be hard to make this approach work with LibreOffice since LO toolbars are all customisable and dockable to the other sides of the main window. 1. Use only native OS background drawing for all UI elements, including Sidebar. Keep the current customisable LO toolbar structure. On this approach Window Bar would still be separate. 2. Unify the Standard toolbar with the Window Bar as in most Mac applications, keep the other toolbars customisable, dockable to other sides of the window. 3. Keep customisable toolbar structure, but instead make toolbars unify with the window bar when docked to the top. I don't know if this would be technically possible or not. My opinion goes for the third, since I like docking the standard toolbar to the sides, and using vertical screen space. This sounds very much like a vapourware, but at least some discussion and brainstorming would be helpful for future references. I thought the request to make toolbar background gray was already reported? > I thought the request to make toolbar background gray was already reported? I think you are referring to Bug 56046, which consists only changing the toolbar background colour, and overall theme colours in general. But this issue is about using native code to draw toolbar background, and changing the UI style. Emir: Unfortunately the report does not help somebody who does not have an OSX computer :-(  Can you please put here a screenshot of the current situation on OSX + example of your preferred solution (eg. screenshot of an existing application)? If I am not mistaken, OSX uses a gradient of some sort - do you know what are the start and end colors in the gradient? The problem with simply applying a gradient is that Mac OS uses a single gradient behind the top toolbar and the title bar. If we use the native title bar and draw the native gradient behind the toolbar as well, the result is relatively ugly. It'd be nicer if we could draw the title bar ourselves or if we drew the top toolbars natively, but I assume that would be too much work for too little gain. So, if we have to draw a toolbar background, I'd suggest to go a different route and try to fit the toolbar to the document area. The toolbar gradient from bottom to top could be #f3f3f3, #f6f6f6 at 94%, and #e6e6e6 at the top (shadow cast by title bar). The toolbars not docked at the top could have a simple #f3f3f3 fill. The toolbar separator would consist of 2 1px lines: #fafafa as the inner highlight, #d5d5d5 at the very edge. Mirek: Thanks, this was most helpful! I believe there must be a way to be able to draw a single gradient - Firefox does that too :-)  Unfortunately I have no OSX machine to be able to experiment - anybody who would like hack on this is much appreciated, I'd give him/her more code pointers. Definitely experimenting here is necessary; so I am hesitant to mark this as EasyHack - but if somebody with Mac is around, I can help from the LibreOffice side :-) - please poke me on irc.freenode.net, channel #libreoffice-dev, I am 'kendy' there. @Kendy, sorry for the late reply, and I see all questions have been answered nearly. In Cocoa applications, window bar is a toolbar itself. But this is just one toolbar, it would not be possible to put LO toolbars in this area, and it would not make sense from a designer's point of view. - As far as I know, OS X draws the gradient automatically according to the operating system, since Snow Leopard, Lion and Mountain Lion have different gradients, so it would not be a problem. Also sidebar background should be unified with the dockable toolbars as well. Personally I'd love to see this as an EasyHack also. I would like to just recommend, that an existing feature like customise toolbars in LO, should remain and stay as it is fantastic for new users to LO and new users in general for viewing and using icons in LO,   these options can be set easily as, customise toolbars, show icons and text, and show only icons, and show icons only as text, should remain as in the toolbar options in LO. I hope LO does not disable this functionality when designing toolbar layouts and backgrounds as it is has occurred in other applications on mac like the web browser on the mac OS and other web browsers from google and opera. Another very successful cross-platform UI, from Pencil UI design software. 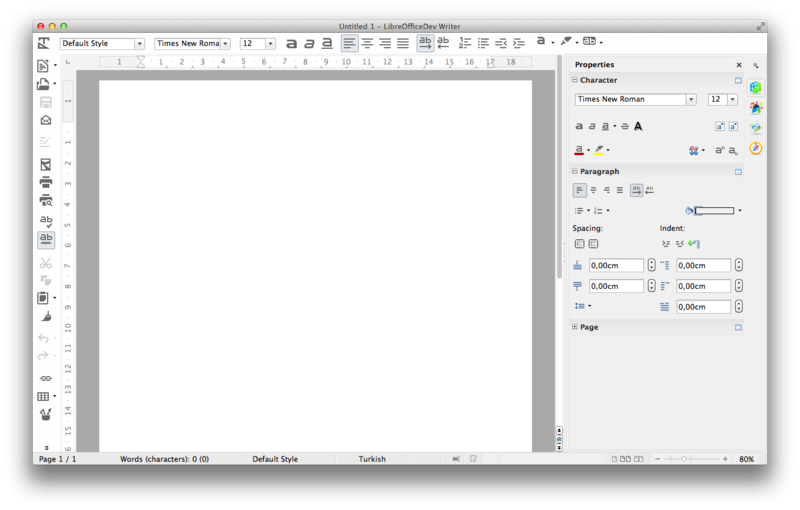 Although it is not 100% Mac-ish, it is very intuitive and successful, therefore I believe it represents a very nice example for LibreOffice to follow. Do you have any comments about what could be done in terms of design and adapting current LO UI to Mac standards? 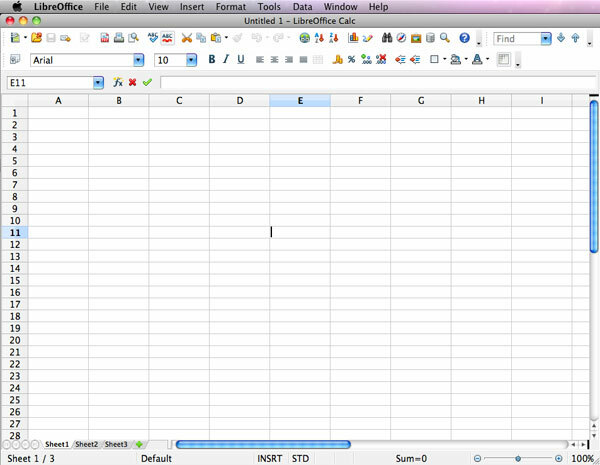 The ideal option for obtaining a Mac-native interface is to fork the UI code and use NSToolbar. Whether that can feasibly be subclassed and made 'draggable' to the sides or not, I don't know (whereupon it would revert to the current appearance). Of course we know that the ideal would be to use native NS* stuff. What we don't know is who would provide the resources to do such work. Initially wouldn't it be a good start to fork the current Aqua code as Nicholas said, so that whoever wants to play can play with it? I am not sure if this would make sense from a technical point of view, but I think it would serve as a nice playground. And the code would be there for anyone who wants to hack on it. Joren - can you please upload here the correct one? As CoreUI is a private (unstable, undocumented) framework it can't be used by an app in the Mac App Store, so the new code should be ifdeffed based on HAVE_FEATURE_MACOSX_SANDBOX (we asume that building LO as sandboxed is done iff building LO for distribution through the app store. According to the comments, https://bugzilla.mozilla.org/show_bug.cgi?id=668195#c10 achieves that without using CoreUI; so I guess we'll want to change it at some stage to use this 2nd approach. * there are white frames drawn around the toolbars. After the patch, the toolbar uses the same colour gradient as the window bar, but it is still separate; the gradient of the window bar doesn't continue straight into the toolbar, like it does for "native" applications. While I applaud this move, I think we all agree it's not finished yet. This would be an important and welcome change for all LO OSX users. Currently LO looks very non-native. The Pencil UI is awesome. If LO was close to that, that would be crazy good. Currently in LO the title bar and the top menu are separated. That is not the case for other OSX apps. @Foss: related to separate titlebar and toolbar: we are aware of that. This are just the first steps. -It seems that gradient only matches the window bar colour when the window is inactive, in other cases clearly there is a difference in the colour/gradient. -Gradient loses its colour sometimes, regains it back when mouse-overed. But only in the dimensions of the button. I think everyone observed this. Hope these issues would be resolved till the time for the first RC. Thanks again everyone who's involved in this. I wonder how does LO look under OS X Yosemite. > I wonder how does LO look under OS X Yosemite. I think LibreOffice will keep the current gray, since it uses modified code to get the native look; I saw a Firefox screenshot which looks unchanged, and LibreOffice uses the same code in portions. > only in the dimensions of the button. I think everyone observed this. LO is shorty before shipping 4.3.0 RC 3, shortly before shipping date of Final Release 4.3.0 according to the release plan: https://wiki.documentfoundation.org/ReleasePlan/4.3#4.3.0_release. These issues, notably this particular issue (Gradient loses its colour sometimes, regains it back when mouse-overed. But only in the dimensions of the button) *really* should be ironed out *before* this coming public release. Otherwise it leaves a *very* awkward and unprofessional because half-baken impression to the public. > again everyone who's involved in this. I would revert this for 4.3. Also I have a hunch that this causes MAB bug 80939 (which affects Retina displays) due to the use of a private API. Whenever this issue has been solved, there is another native toolbar issue in bug 80474 that should be looked into. Since release for 4.3 is near, I also think this should be reverted either. Better late than never. With my limited technical knowledge, I don't think it is possible to reach this without a complete overhaul of the OS X UI code. Also the current patch only mimics the native appearance, not providing one. The toolbars now look much worse than in 4.2.5! Just like Emir's screenshot shows. This is a big regression on the UI on OS X. Please fix it or revert it before 4.3.1. Native background rendering on OSX not working on Spreadsheet. Toolbar rendering in OSX is weird. Toolbar rendering on OSX is strange under the following conditions. Click Writer Document on Left sidebar. See attachment for a picture. Also, you've set a couple of attachments as obsolete--they are not, please don't make such changes unless you really understand our Bugzilla process. The implementation from comment 21 sorts out the original issue, and bug 83700 is actually a follow-up to make it look even nicer. If you are still seeing the misbehaviour from comment 42, please open a new bug, this is not expected, and was not showing with the patch from comment 21.